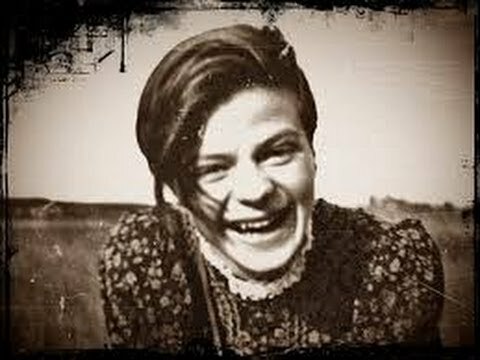 In honor of Sophie Scholl's birthday, I'm sharing an excerpt from Resist. Sophie has just arrived in Munich to study at the university. It's her 21st birthday and her older brother, Hans, has invited his friends over to meet his sister and celebrate what would be her last birthday. I stood beside a teetering tower of my medical texts, watching as Sophie gazed up at the French Impressionist paintings pinned all over my walls. It wasn’t so unlike my bedroom at home. I was always a great adorer of books, and yet, I let them lie where they might. I was certainly not a great adorer of bookshelves and didn’t pretend to be. “I’m so eager to meet your friends. I feel like I already know them from all your letters.” Sophie sat on the edge of my bed, the only clear seating in my apartment. I was attempting to clear off my chairs, but it wasn’t an easy feat. I picked up a stack of thick tomes and peered around for a place to set them. Finding none, I set them back down with a heavy sigh. My friends would just have to stand. “I’m sure they feel the same way. I’ve told them all about you.” I drummed my fingers on the book covers thoughtfully, wondering how much space was in my closet. I dismissed the thought. There were more books in there. Alex entered, nearly bumping his head on the door frame. I was still preoccupied with finding seating space, so I made a half-hearted introduction while lifting my blankets to peer under my bed. Suitcases, shoes, a bit of dust—no space whatsoever. “Heaven be praised, is that cake?” Alex hurried over to the desk where I was now unpacking the dense cake onto a pile of papers. Mother would have a fit if she knew her cake was being placed on a pile of school assignments. “What would a birthday party be without cake and wine?” Sophie raised a brow. “But don’t worry,” Sophie said. “Mother knows how to bake divine cakes.” She sunk the blade into the white cake, setting a large slice onto a plate. “Ah! I heartily approve of the way your sister slices cake.” Alex cheered as Sophie handed him the plate. Another knock sounded at the door, bringing in Christl. He was smoking a pipe and donning a cap which he promptly took off upon entering the room. “It’s a pleasure to meet you, Christl. May I call you Christl?” Sophie gave me a shove in response to my jesting. Willi strolled in, his round face ruddy from the brisk evening. He wasn’t nearly as outgoing as Alex or as laidback as Christl. He was quiet, with pensive eyes. “Willi Graf, it’s about time you arrived. Sophie’s birthday cake is all but gone.” I pointed to what was left of the cake. “I don’t mind,” I shrugged. “Oh, come. Surely there must be a poem even Hans Scholl can’t place,” Alex reclined in a chair he had cleared off, a pipe wedged in the corner of his mouth. I was about to blurt out the poet, but stopped myself. I really ought to let everyone ponder it a moment and not spoil the fun. Willi’s head was bent. Alex peered up at the ceiling. Christl was leaning forward in his seat, and I was grinning like a school boy who just got away with inflicting an antic upon my teacher. “Heinrich Heine, naturally.” I finally let my words break the silence. “Oh, Hans!” Sophie thrust a book at me, and I dodged it with a gale of laughter. “Now, may I present one, or are you all angry with me?” I peered around for an answer. “Go on,” Christl waved a hand at me. The room was cast in a spell from the heady words, and no one broke the silence for a long moment. “We’ll naturally dedicate it to our great Führer,” Willi gleamed. “All right, though it’s been ages since I’ve played.” I snatched my instrument from where it lay in the corner of my room, dusted it off then followed the party outside. The cool spring evening was exhilarating. The full moon battled with the clouds, struggling to bring its light to the world below. I began to play, the music drifting into the night air where it mingled with the cosmos. Sophie is my inspiration and so are you! This is amazing.